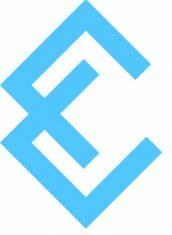 Since January 2018 I am supporting the software engineering agency Elbstack. I’m having so much fun working with the team on interesting Symfony and ApiPlatform projects! 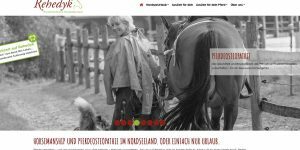 During this time I worked on features in the PHP-based, legacy booking funnel of the brand “CarDelMar” and was responsible for two remote developers to support them with their tasks and transfer all my knowledge of the booking funnel to them. I also helped with bugs and small changes at the Alchemy/Ruby on Rails-based website of CarDelMar. Years ago, I already worked for the former company “CarDelMar” during my job in the web-agency “sitegeist”. At that time I was responsible for a new, PHP- and Yii-based solution for the booking funnel of CarDelMar. Fun fact is that I was working on this legacy product again in 2017 and could help the team a lot with my deep knowledge about it. The company’s first language is English. 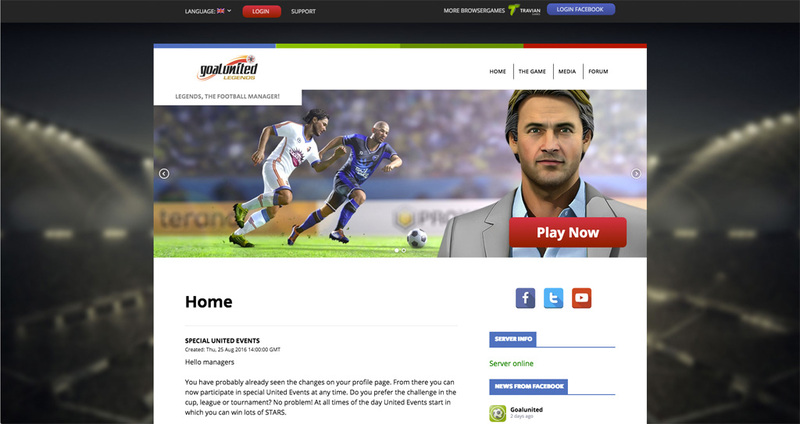 Travian Games GmbH, located in Munich, Germany, asked me to create a new, search engine optimized website for the online-footballmanager “Goalunited Legends”. The design has been delivered by the customer and the chosen CMS should be WordPress. 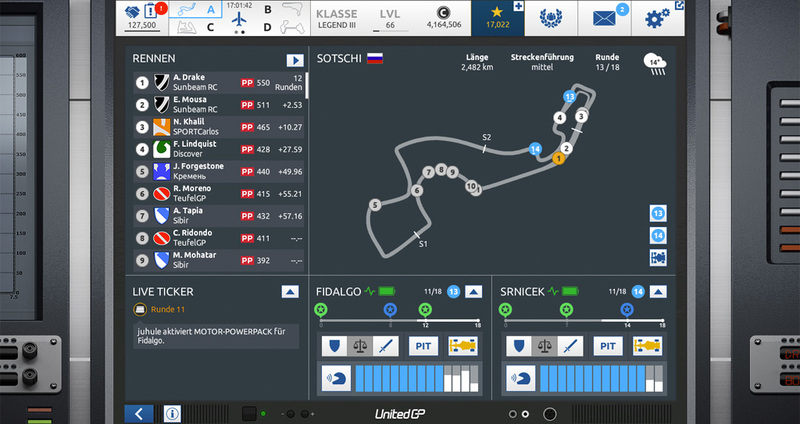 When I was in my last permanent position at nothworks Software GmbH in Hamburg, I worked as a Backend-Lead, Senior Software Developer and DevOp on the racing manager “UnitedGP”. Who is this Julia Spiegel? When I was a child I liked playing computer games for hours. Werner-FLaschbier or Giana Sisters as well as the Game Boy were my favorites in the 80s. With my first own computer and the internet on it’s way to every household (with a 33k-modem..) I started chatting via ICQ, built my first, very spooky, websites with Dreamweaver and designed a lot of senseless stuff with Photoshop. Then I had to choose my course of studies and started studying “Media Information Technology” at the University of Applied Sciences in Wedel, next to Hamburg. My diploma thesis about “Web Accessibility” I wrote at the University Tübingen, because I really loved this city. Afterwards I worked at the internet agency MOSAIQ GmbH in Stuttgart for a few years until I gravitated towards home. 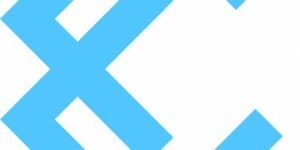 I started working at Gruner + Jahr GmbH & Co KG in Hamburg, where I worked on different projects as a Software Engineer. I was also responsible for the deployment process of the website of Brigitte and deepened my linux command line knowledge. A few years later my job changed to a technical project leader, but I missed programming and changed to sitegeist media solutions GmbH, an internet agency, where I got to know the PHP framework Yii and also deepened my knowledge with HTML and CSS. 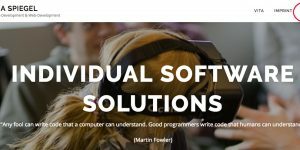 I longed for working on bigger projects and so, a few years later, I changed to northworks Software GmbH. We created a racing manager game (for browser and tablet) where up to 14 real users drive races against each other. The races are simulated in realtime. I was responsible for the whole backend and also the Dev-Op of this project, so I got to know the Amazon Cloud (AWS), Jenkins and again deepened my knowledge on the linux command line. But in all these years, I received requests for smaller and midsize projects I could not work on, because I didn’t have the time contiguous to the fulltime-job. I also started writing books as an amateur writer and founded an organisation for trail riding, which I both really want to carry on with. So I changed to freelance work to be available for all those projects that are coming! By using this form you agree with the storage and handling of your data by this website. We. won't pass your data to a third party..